Home » Welcome to Ms. Guided Flyfishing! Join Ms. Guided’s Kiki Galvin and wet a line in some of the Mid-Atlantic’s best urban fisheries and picturesque freestone streams. Take a walk/wade adventure and angle for native brooks or hearty browns and rainbows. With your safety and enjoyment in mind, Ms. Guided will put you on to eager fish…and in just over an hour from the D.C. metropolitan area. Remember, fish live in beautiful places! 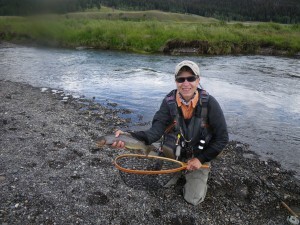 Call or email us to book your fly fishing adventure today!